Cleveland And LeBron James, You Did It! 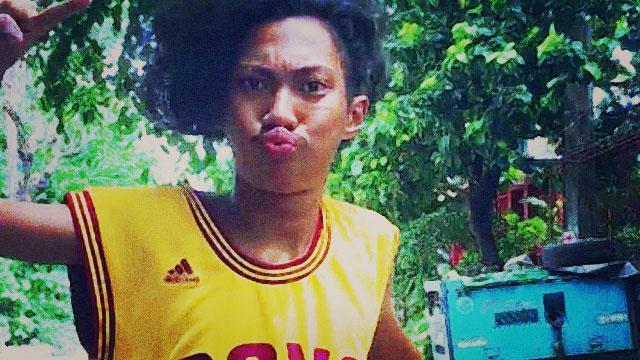 Thirteen years ago, an irrelevant Cleveland Cavaliers team struck gold when it drafted hometown kid and basketball prodigy LeBron Raymone James. The 18-year-old from Akron, Ohio took the league by storm and lived up to expectations, breaking and setting records as a young player en route to the first of his four Most Valuable Player trophies in 2009. But alas, James grew discontented with mere individual awards, aware that great players are usually defined by championships, something he thought he couldn't achieve in Cleveland. He then made the still-condemned "Decision," which saw him teaming up with Super Friends Dwyane Wade and Chris Bosh in Miami to go ring-chasing. The Cavaliers, despite ending up with three No. 1 picks (one of which turned out to be Kyrie Irving) in the wake of LeBron's departure, was essentially back to square one in terms of title contention. But more than being left off the basketball map, Lebron's departure meant more to the city he grew up in. Cleveland felt betrayed by their hero, the so-called Chosen One; their ire evident in the Cav's owner Dan Gilbert's open letter to the Cleveland faithful that was severely critical of Lebron and the smell of burnt No. 23 jerseys throughout the cursed sports city. It didn't help that Lebron was thriving in his new environment, delivering championship hardware back-to-back. During his Miami glory years, the relationship between King James and his hometown seemed irreconcilable. LeBron was at the peak of his powers and his Heat team looked invincible, while the Cavaliers were about to enter rebuilding mode, with Irving and 2014 No. 1 pick Andrew Wiggins at the forefront. Miami's reign as the Lords of the NBA turned out to be short-lived, halted by the vengeful San Antonio Spurs in 2014. This changed the script for LeBron, whose free agency loomed even before the Heat Finals series against the Spurs began. Despite murmurs of him coming back to Cleveland, both James and the city paid no heed. Until LeBron announced via Sports Illustrated that he is "coming home" and reminded fans of his responsibility to Northeast Ohio: a world championship. One lost cause against 2015 NBA Champions Golden State Warriors and another roll in the playoffs after, James and the Cavs found themselves back in the NBA's biggest stage. Bannering a healthy Big Three this time around, Cleveland uncharacteristically had their backs against the wall in the first four games of the Finals many had thought they'd never won, down 3-1 and staring at the wrong end of history. Reigning champions and now holders of the best regular season record (73-9), the Dubs manifested its mantra of "Strength In Numbers" and was on the verge of capping off a fairy-tale season, despite the lackadaisical play from two-time MVP Stephen Curry. LeBron, however, would have none of it. A couple of 41-point outings and a fitting triple-double in Game 7, not to mention Kyrie being unleashed in Game 3, paved the way for the Cavaliers making its own history of being the first team to come back from such deficit to win a championship. One may argue that Kyrie should've won Finals MVP for his brilliant play in the Cavaliers' recent games and the dagger three-pointer that put them up for good, though it really would be blasphemous not to hand James the accolade. Regardless of being the first player to lead all statistical categories in a playoff series, LeBron knows that those numbers will mean nothing if he will not hoist the Larry O'Brien Championship Trophy afterwards. More importantly, he gets to raise the first banner at the Quicken Loans Arena, and break the 52-year curse that has haunted the embattled sports-loving city. Seeing LeBron after securing Cleveland's first chip was both an awkward and poignant sight. 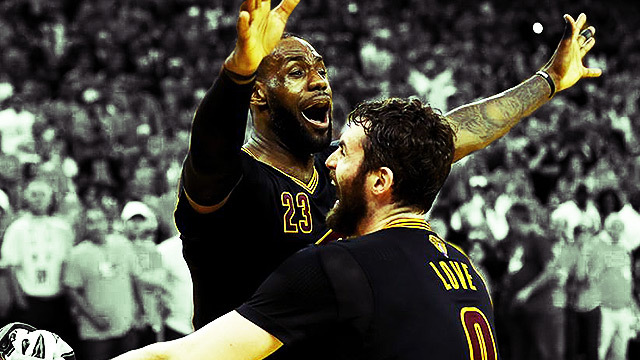 The way he hugged teammates, even those whom he essentially carried (erm, Kevin Love), him dropping to the floor when the final buzzer sounded, trying his best to hold his tears—it was unusual for a six-foot-eight, 250-pound grown man to be reduced to something so emotional. That is, if you didn't know where he was coming from. Once a celebrated figure, this man was basically scorned by his hometown for pursuing his dream (actually, it was just the way he made public his exit). Cleveland isn't to blame either, as the combined thirst for recognition and serving of infidelity left a bad taste in the mouth that the fanbase wasn't able to move on from instantly. This time though, Cleveland and LeBron can both simply revel in the luxury of champagne and cigar, significantly more fulfilling than those the latter had in Miami. This may not be James' idea of a homecoming—it's way better. He not only cemented the place of his city in the league's upper echelon, LeBron also rewrote his own legacy and finally swayed doubters of his greatness in the process. Now, with the real monkey off his back, nothing can stop him from catching up and eventually passing his predecessors. A reunion couldn't be any sweeter.